Forget About Chimneys: Think Wormholes If You Want To See Santa : The Two-Way That jolly old elf has fooled NORAD, Google and others trying to track him, says astrophysicist Neil deGrasse Tyson. The "science of Santa" makes the most sense if you figure he's getting to the homes of good girls and boys via wormholes, not down the chimneys. 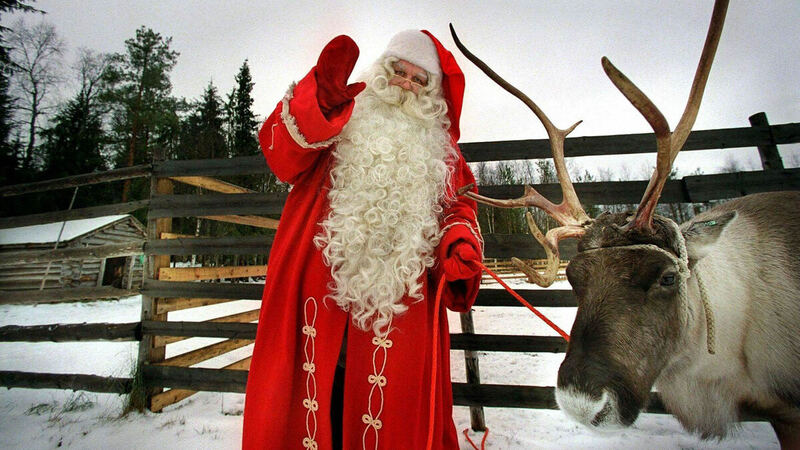 Science says Santa's been tricking us with that reindeer stuff. At least that's what astrophysicist Neil deGrasse Tyson suspects. He tongue-in-cheekily tells Morning Edition's David Greene that the whole bit about flying around the world in a sleigh pulled by reindeer and landing on rooftops is just a ruse. He says that what St. Nick is really doing, if you think about the "science of Santa," is whipping around the world and into the homes of good girls and boys via some wondrous wormholes. Santa's just telling everyone to watch the chimney as a distraction from what he's really up to, Tyson says. So, the thing to do is to find where the wormhole opens at your house. Maybe the microwave? We suggest standing well away. Oh, and about Rudolph's red nose: "That's awesome," says Tyson, because red light is "ideal for getting through foggy, cloudy nights. ... It penetrates better through fog than blue light."